Nice to see the update! When I rode the Thorn RavenTour AndyBG kindly loaned me for my 2014 double-crossing of Europe (Bulgaria-France-Black Sea), the bike had seen little use. I put on roughly 9,000km and the cog looked nearly new when I returned the bike at trip’s end, cog in the original orientation (not reversed). Keep in mind I kept the chain clean and well lubricated (sometimes several times a day in heavy rains) and adjusted the BB eccentric twice to make up for chain wear. I was also running a Surly stainless chainring (36×17 combo) and employed my usual fast (110-120rpm) light cadence, so those might be factors. I had fully expected the cog to show at least incipient hooking of the teeth, but none was present to eye or fingernail. Hi Dan! Thanks for your comments. I think most of the wear happened on my first long tour round the North Sea. On that tour I was using a cheap chain that ‘stretched’ very quickly. I also had no mudguard flap on the front mudguard on that tour. I remember that there was always a lot of dust and dirt thrown up into the front drive chain. This Summer I started with a new better quality KMC X1 chain, and a huge Brooks leather mudflap. The bike ran very cleanly even in gritty and wet conditions. I can only conclude that there may have been increased wear on the Rohloff rear cog as a result of increased grit being thrown into drive chain on the first tour. I use a Thorn chain guard but the chain itself remains exposed to the elements. The KMC X1 chain has still not reached 0.5% wear after over 5000km. 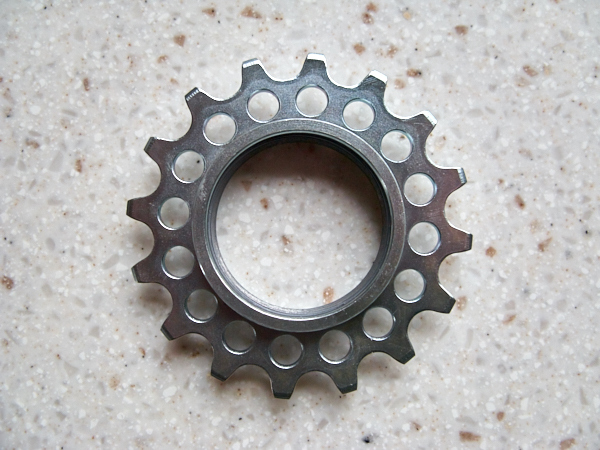 I am using a 38 x 16 chain ring/rear cog setup so maybe the 36 x 17 setup also has an influence. I use a Thorn bash guard also and readily agree: A long and generous front mudflap makes a real difference to drivetrain life and greatly reduces maintenance. Chains really do vary in their wear rates. I’ve found cheap chains really do stretch quickly and so cause greater wear on cogs and chainrings, but topline premium chains don’t last so much longer as to justify the added cost. The sweet spot seems to be in the middle to upper-middle range, as with your KMC X1. 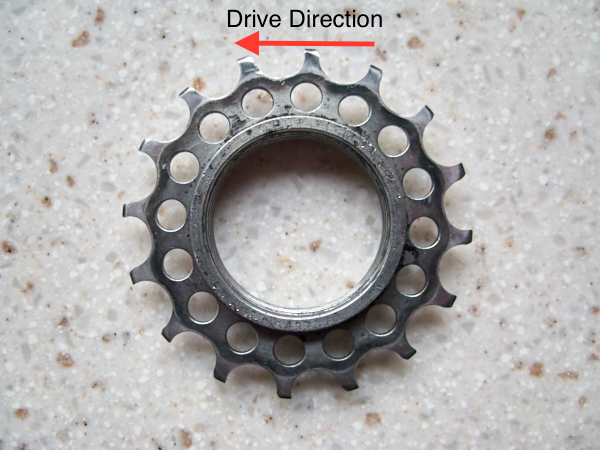 Nice information for me about Rohloff Rear Cog Wear. It’s really helpful for me.